I want to start highlighting some AFFORDABLE and "up & coming" etsy shops on Mondays. This can mean not a lot of sales, just getting started, or just haven't gotten the word out about their shop yet! This way, some independent crafters & designers can get more publicity and I can have something to talk about on Mondays. Here goes! I just found this shop today and I love it because it is so extremely affordable. She has tons of bird & floral stuff that i love. My favorite item in her shop? 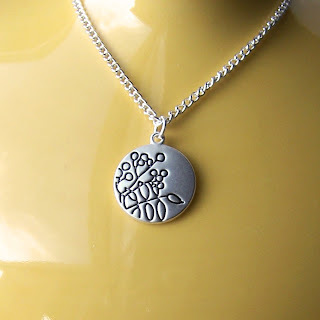 This cute necklace. So simple & so cute. The next shop i love to gawk over is Studio K.
Her work is beautiful & colorful and her recycled record clocks are so stinkin' fun! 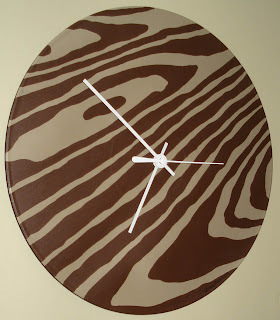 I'm loving all things faux bois/woodgrain so this clock is one of my faves. 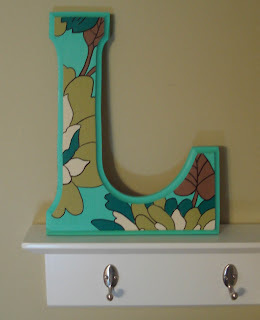 My favorite items in her shop right now are the painted letters. They are a little more expensive than the ones at Anthropologie, but they are hand painted and not made in China. You just can't beat that! 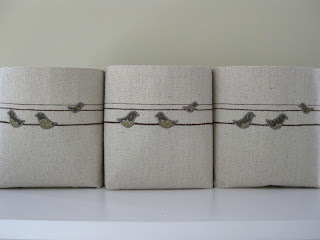 My final shop of the day is nestings. I came to this shop a while ago because of these cute fabric boxes. 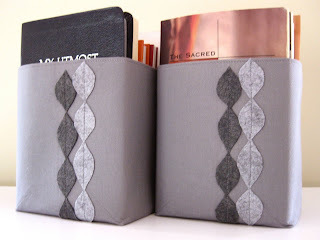 NOW i love these argyle bins, just as much as the bird ones. So there you go people. Go shop your little heart out. All of these shops have great gifts for Christmas, and you aren't supporting cheap/slave labor, but artists who are so extremely talented!